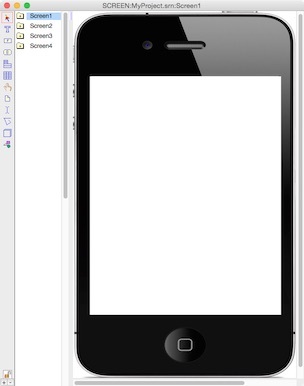 Use MacA&D or WinA&D to draw a screen prototype for a Desktop application, Mobile app or website. Express ideas in minutes with images, buttons, menus, controls, panels, colors, fonts, video, sound, embedded web pages and scriptable behavior. Instantly browse your dynamic prototype with clickable buttons, selectable menus, tabbed panels, calculations and live user interactions. Integrate screen prototypes with all the modeling capabilities in MacA&D or WinA&D. 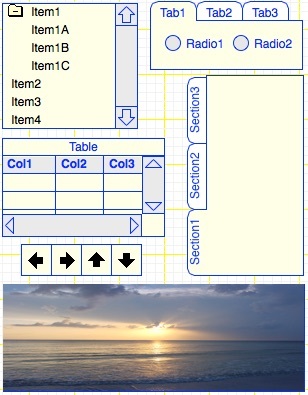 Draw a Prototype with screens, dialogs and background. Add titled screens to document. Add popup dialogs and popovers. Apply background image across all screens. Integrate prototype with other design diagrams. Add Text, Captions, Fields and other controls. Type Text labels on the screen. Add Captions with fonts, colors and other properties. Add edit fields and comboboxes. Add horizontal and vertical sliders. Add Switches, Segmented controls and Steppers. Draw buttons in various shapes, colors and fonts. Add gradients, transparency or images to buttons. Add checkboxes or radio buttons. 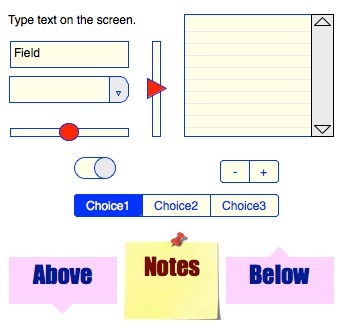 Add Popup, Pulldown, Horizontal or Vertical menus. Create simple or hiearchical menu commands. Reference a master menu from multiple screens. 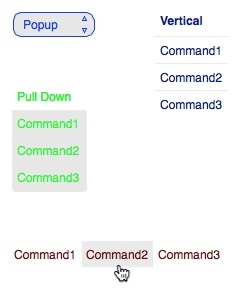 Select navigation for menu commands. Add tables, lists, tab panels, dialogs and other organizers. Add tables, lists, tabbed panels, dialogs or popups. Add horizontal or vertical tool bars and palettes. Add images, videos, sound or linked web pages. Apply image transitions, transparency, scaling or dynamic affects. Add scripts for click and hover actions. Add script commands to screen objects. Run script on user click. Run script on mouse hover. Assign scripts to periodic timers. 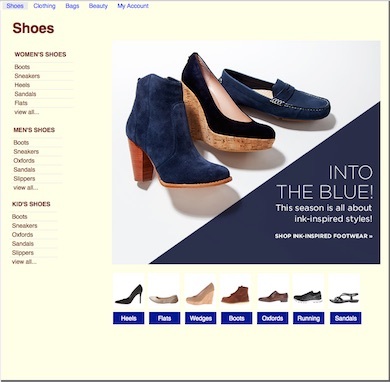 Click Browse tool to bring your prototype to life. Instantly browse your live prototype. Type and edit text or tab between fields. Drag Sliders, Switches or Steppers. Navigate with buttons and menus. Play videos, sound or browse Internet pages. Demonstrate the user experience for desktop applications, mobile apps, enterprise software or custom devices. Allow users to try, refine and validate your concept before spending money on development.